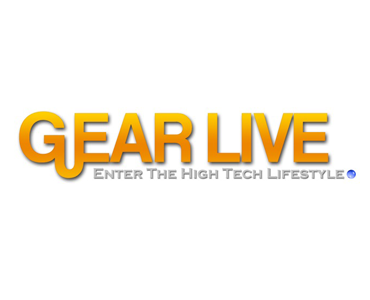 Gear Live is a trend-setting web magazine and social news site, launched in June 2004, devoted to the high tech lifestyle. We provide news, previews, reviews, commentaries, and more on all your favorite gadgets, consumer electronics, games, music, and tech trends. Our readers enjoy our timely coverage, and honest approach. Sponsorship of Gear Live videos works similar to television advertising, except it is highly targeted and gets much better results at a fraction of the price. You can sponsor videos on a monthly, quarterly, semi-annual, or annual basis. We take your product messaging and share it in all of our videos for the duration of the sponsorship, putting your product front and center with host-read endorsements and video ads. Would you like to get in front of our massive viewership? Let’s talk about sponsoring Gear Live videos. Alternatively, if you’d rather have us do videos specifically of your product(s), you are looking at our Video Spotlight. In our Video Spotlights, we take your products and create a package of videos showing it off. This includes a video unboxing of the product, as well as a video showcasing hands-on impressions, tips and tricks, and even a video review (or any mixture thereof.) Instead of your messaging appearing before one of our regular feature videos, the Video Spotlight focuses just on your product over a series of videos. In addition to them going out to our audience, you can also embed these videos on your Web site as well for the benefit of your customers from a customer service and marketing perspective. Lastly, we offer event sponsorship – over the next couple of months we have three major events we’ll be covering, and you have the opportunity to get your brand in front of our millions of viewers. The events are SXSW in Austin, TX, and Electronic Entertainment Expo (E3) in Los Angeles, CA, and VidCon 2013 in Anaheim, CA. Of course, there is also CES 2014 in Las Vegas, our biggest traffic of the year.